Hopes for a division title aren't totally out of the question, but realistically it remains a longshot. So, for the Yankees, a home Wild Card Game against Minnesota on Tuesday night is not a bad fallback position. Nobody wants to play that one-game winner-take-all round, but the Twins have not beaten the Yankees in a meaningful game since Harmon Killebrew wore a uniform. You can expect that the Bombers will get it done again with Luis Severino on the mound. The division round is going to be a test, no matter if it's Cleveland or Houston. But on paper, the Yankees can play with anyone in the American League. They are healthy, and everyone seems to be peaking at just the right time. Aaron Judge and Gary Sanchez provide them with the most feared twosome in the league. 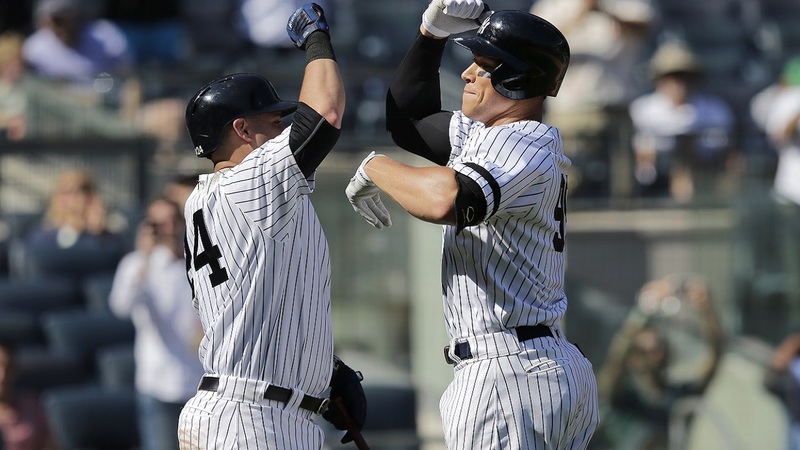 The Yankees are deep in all positions and most of all they are healthy. Greg Bird has solidified first base and gives them a well-rounded offense that can score runs and hit the long ball as well as any team. As always, the starting pitching will be the key. The Yankees will throw four quality starters, who really only need to give six innings. The bullpen is stacked, and gives the Yankees a big edge on any team in all of baseball. This young team has arrived, and they have all the weapons to make a long run in the playoffs. However, they must stay away from the impossible happening, losing to the Twins in a one game playoff.